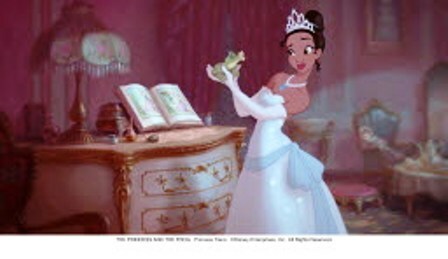 Princess Tiana of the November movie "The Princess and the Frog" is Disney's first African-American big-screen heroine. Facial features are broader, and skin tone comes in varying shades. 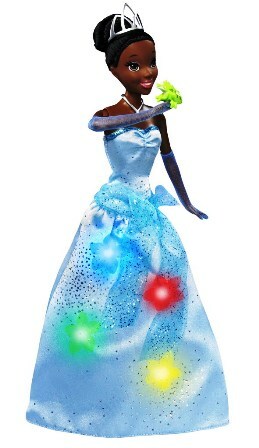 But the new line of black Barbie dolls and Disney's first black princess, Tiana, are still drawing criticism from some corners. Unlike the old tactic of simply painting white dolls brown and trying to foist them off as racially diverse, Mattel's three "So In Style" teen dolls have varied skin tones as well as lips, noses and cheekbones in slightly differing shapes. Some of the dolls have curlier hair than the stick-straight blonde locks of white Barbie. These dolls are being portrayed as interested in math, science and music as well as fashion and boys. But not everyone's happy. Some African-American bloggers have slammed the line's emphasis on straighter hair (none of them appear to have the naturally tight curls of many black women) as well as the perennial Barbie criticism -- freakishly skinny bods. And some girls interviewed said they resented the assumption that all black girls like hip-hop and wear bling (this seems unfounded, because the So In Style dolls have varied interests including violin playing and cheerleading). Princess Tiana, on the other hand, seems to be getting high marks for looking more like a lovely African-American girl than a thinly disguised super-tan white girl. Tiana, the main character of Disney's "The Princess and the Frog" (opening in November), is also available in doll form, of course -- and the doll looks much thinner than the on-screen animated version. All in all, it seems like a a long-overdue step in the right direction for both Disney and Mattel -- if it's not the only one they're going to make. What do you think? Let's hear it for regional presses!